Enjoy tranquil comfort and tropical old-fashioned southern hospitality in one of the most romantic Vero Beach hotels and charming Florida resorts. The Caribbean Court Vero Beach resort, located on Orchid Island, “The Jewel of the Treasure Coast,” is unique among Florida beach resorts. 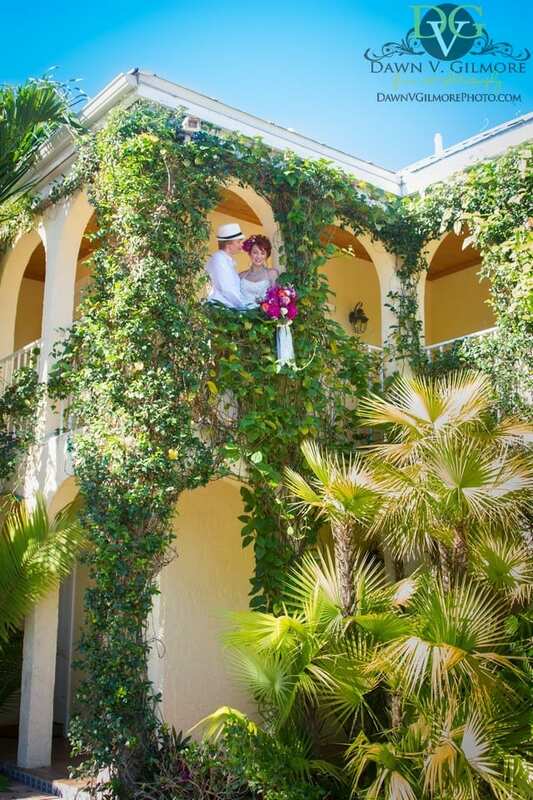 This gem and most lushly landscaped among Vero Beach hotels is ideal whether you are looking for a romantic getaway for two or you are in search of wedding venues, event venues, small conference rooms, retreat centers. 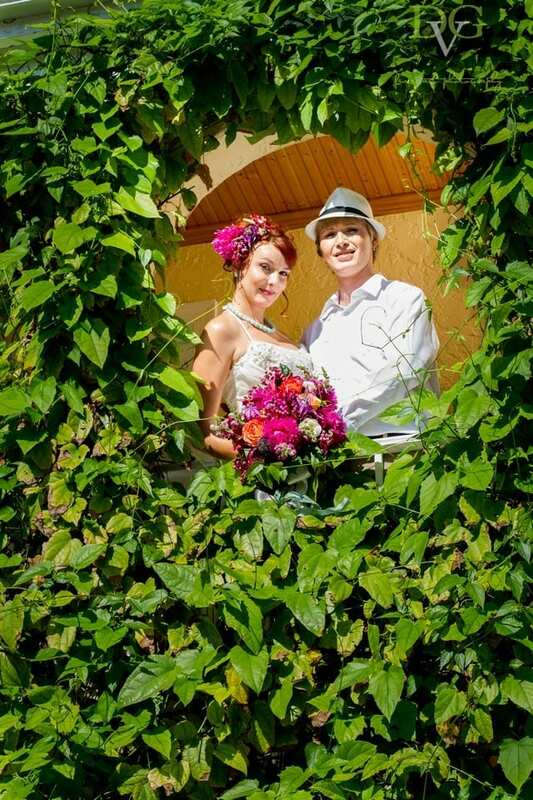 We are sure to please individuals looking for small wedding ideas and unique wedding ideas; we are the ideal intimate location for a special occasion, corporate function, family reunion, destination wedding. 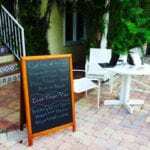 If you are looking for one of the most comfortable Vero Beach hotels, you need look no further. 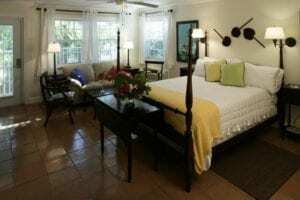 The Caribbean Court Vero Beach Hotel features 18 charming double occupancy studio efficiencies, decorated with antique furniture, hand-painted tiles, and original artwork. Our 18 guest rooms are elegant, comfortable and equipped with the amenities one expects at a fine boutique hotel. 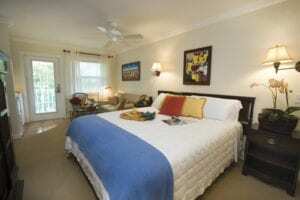 Rooms are furnished with a King-size, Queen-size or two Full-size beds. 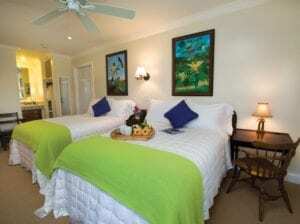 Deluxe rooms also provide a sofa, a twin daybed, or a small dining room with seating for four. We have also have the option of adjoining rooms. 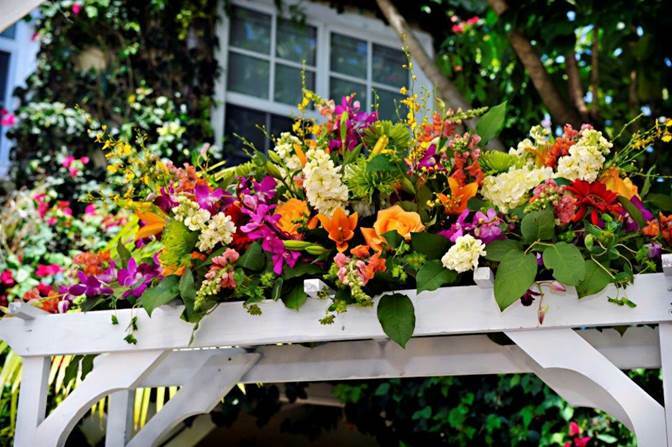 Most rooms have balconies or patios. A handicapped-accessible room is available. 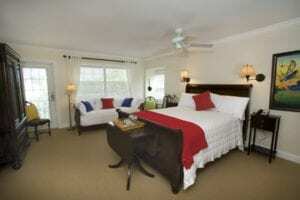 Four rooms are designated for guests with pets. All rooms are non-smoking. Beds have Pillow-top mattresses, are covered with 100% cotton linens and bedding, comfortable pillows and have unique headboards. Baths have a separate vanity area, each with a unique hand-painted ceramic tile sink. Guests enjoy our fine toiletries, fluffy towels and waffle embroidered cozy guest robes. Modern Conveniences include television, hair dryers and safes. Kitchenettes: All rooms have a mini-kitchen (including silverware and glassware) with a coffee maker, microwave, refrigerator/freezer. One guest room has a full kitchen. 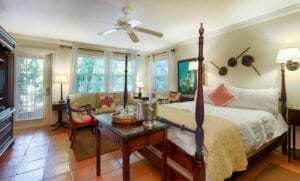 The Caribbean Court Boutique Hotel offers beach access, a heated pool, 24 hour concierge and front desk service. 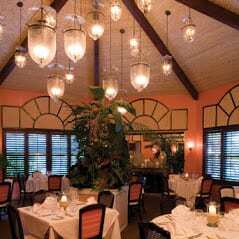 If you are looking for Vero Beach hotels that provide fine dining and entertainment on site, you have arrived. 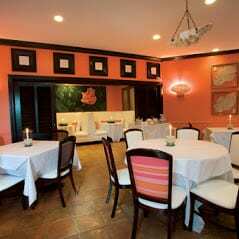 Savor the award winning cuisine, extensive wine list, full bar, elegant indoor or casual "al-fresco" dining of Maison Martinique, one of the top Vero Beach Restaurants. 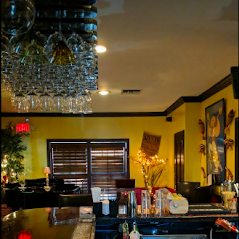 To top off the evening or as a destination in itself, enjoy The Romantic Havana Nights Piano Bar’s Monday through Saturday live entertainment, famous Maison Martinique menu and plentiful spirits. Cooked to order Breakfast at The Cup. 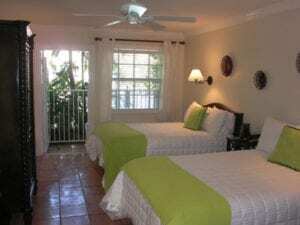 The Caribbean Court Boutique Hotel. This is a documentary we recently received on our hotel by PBS station: WXEL TV's South Florida Today segment, enjoy. 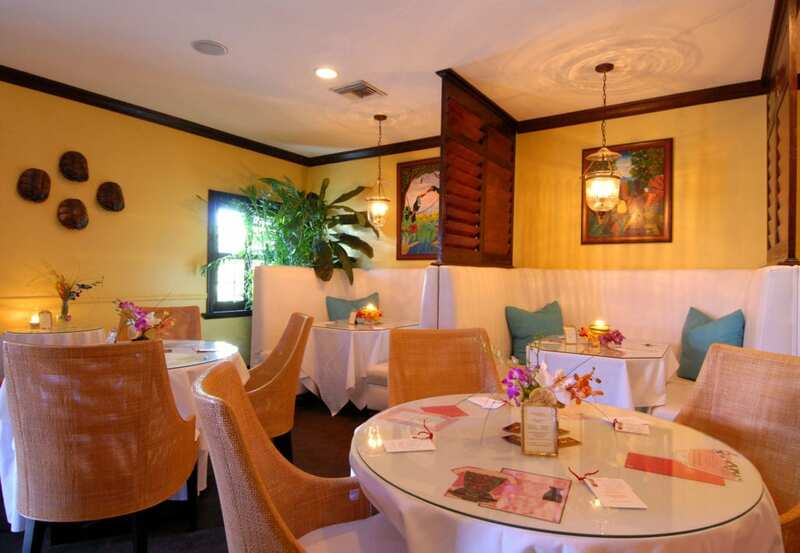 Award winning Maison Martinique Restaurant, one of the leading Vero Beach Restaurants, provides fine dining paired with an extensive wine list and full bar. Maison Martinique's fine American cuisine focus on fresh seafood and prime angus beef is offered in one of Vero Beach's most sensual and beautiful settings. 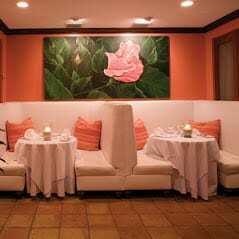 Romantic al fresco dining, and three casually elegant dining rooms are available for dining and private parties. Reservations recommended. Restaurant parking is available off Jasmine Lane, a half-block west of Ocean Drive. 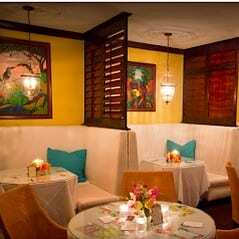 Maison Martinique serving dinner Monday - Saturday from 5:00 p.m. 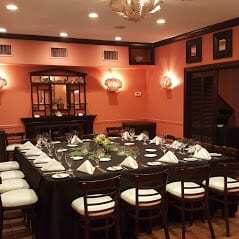 The restaurant is available for private parties by appointment. 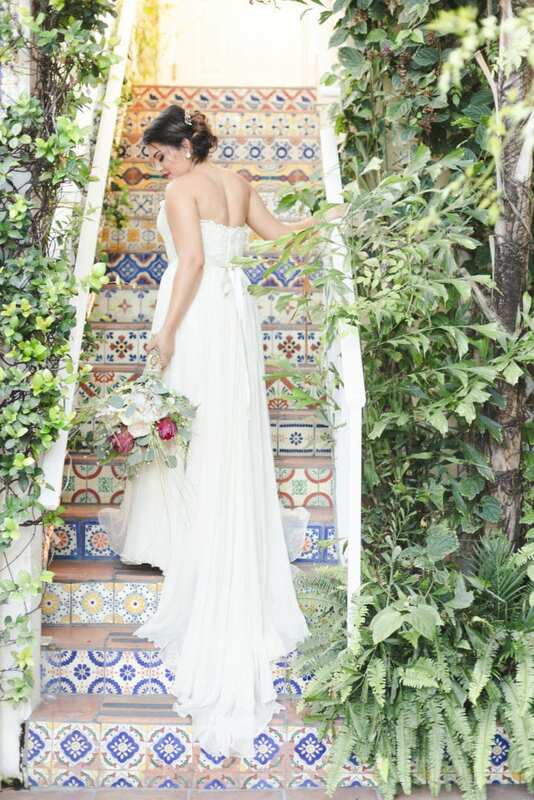 Please refer to weddings/events tabs for further details. Eat, drink, and dance the night away in Vero Beach's #1 piano bar. Havana Nights Piano Bar features live entertainment nightly, a tapas menu, tropically inspired full dinner menu, fine beer and wine list and a fantastic craft cocktail menu. 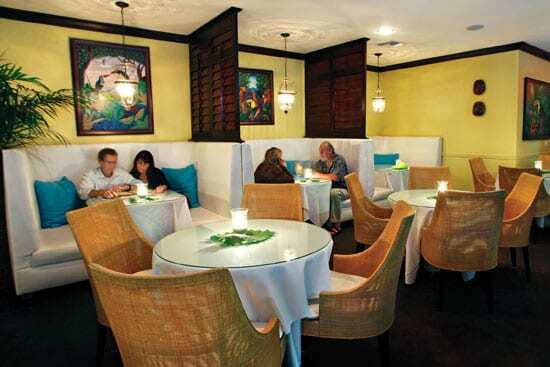 Discover this hidden gem atop the famous Maison Martinique located at 1605 Ocean Dr.
Cocktails and dining 7 days a week from 4:30 p.m. into the night. Happy Hour Monday - Thursday 4:30 p.m. to 7:00 p.m.
please call (772) 234-9041, or email events@thecaribbeancourt.com. The Cup provides made to order breakfast and lunch in three casually elegant dining venues. 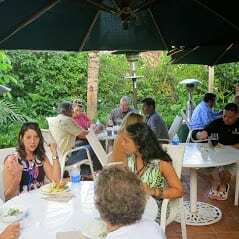 On a beautiful day, enjoy the poolside front patio or the lush tropical back fountain patio; in challenging weather patrons congregate inside in the Shell Dining Room/Hibiscus Booths. 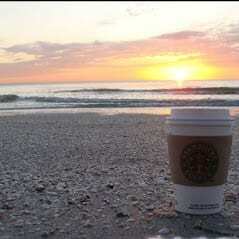 If you just would just like to relax, visit with a friend or business acquaintance over a cup of coffee, The Cup proudly serves Starbucks in the same charming venues or on a pull up basis. Patrons love The Cup's complimentary high speed wireless internet and off street parking. The Caribbean Court Boutique Resort is the ideal venue for weddings, conferences, corporate events and other intimate functions. We offer a variety of elegant settings for unique and impressive events. Reserve the entire hotel (18 guest rooms) or as many rooms as needed to provide your group with privacy and convenience. Please see the information under the weddings/events tab for dining and entertaining options from intimate gatherings to large tented parties for up to 450 guests.